Is Molina’s God Fallible? A response to James N. Anderson | J.W. Wartick -"Always Have a Reason"
Recently, I responded to James White’s comments on molinism. Shortly thereafter, White had another podcast in which he made several comments on molinism. He also commented favorably on an article by James N. Anderson, which argues that God is fallible. I left a comment over on Anderson’s blog because I frankly think that he misrepresented Molina’s view. Here, I’ll reproduce the comment I left there with a bit more commentary after the block quote to demonstrate that Anderson’s argument, like White’s, really is a misrepresentation. Molina, on the other hand, explicitly held that if we were to choose otherwise, God would have known otherwise. That is, on Molina’s view (and on the view of William Lane Craig), if we were to choose ~A instead of A, then God would have known ~A instead. Molina, in “On Divine Foreknowledge” makes this extremely clear. Of course, you could argue that the means by which Molina argues that this is possible is itself mistaken, but the argument is complicated and I’m not going to reproduce it here. My main point is the very core of the argument you’ve given simply misrepresents the position of molinists. Molina (and Craig) held that if a creature were to choose otherwise, then God would know it. Period. [T]he Molinist is committed to the claim that although God knows that S would choose A in C, and he actualizes C because he plans for S to choose A, it is nonetheless possible for S not to choose A in C. (Craig clearly affirm[ed] this point a couple of times in his exchange with Helm.) In other words, there are possible worlds in which God actualizes C so that S will choose A, but S doesn’t choose A. There are possible worlds in which God’s eternal decree doesn’t come to pass, because libertarian-free agents do otherwise than he had planned. Thus, Anderson concludes, on the molinist view, God is possibly fallible. But, as I pointed out in my comment above, Anderson’s argument basically just ignores Molina’s own views about God’s knowledge. I take it from his response to me that he thinks that God’s eternal decree somehow trumps considerations about foreknowledge, and I would think that on a Calvinist system that may be correct, depending upon how one hashes at the details (i.e. 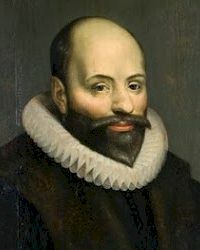 on some Calvinists’ expositions of foreknowledge, I have read it is grounded on God’s own action; that is, God foreknows x will happen because God wills x). But of course we’re not here interested on a Calvinist view of foreknowledge or the decree; Anderson is allegedly addressing Molinists. By now it should be fairly clear where Anderson’s mistake lies: he imports his Calvinistic understanding of foreknowledge and the decree into molinism. But he claims to be critiquing Molina’s views internally; that is, his argument is supposed to show that molinism is self-referentially incoherent because it entails a fallible God. But it doesn’t! It only does so once Anderson has forced the concept of the eternal decree (that is, the specifically Calvinist view of this) as the filter through which molinism must be drawn. But of course that hardly shows that molinism is wrong, any more than filtering Calvinism through an Arminian filter demonstrates Calvinism is incoherent. One must evaluate each view on its own merits; not by presupposing positions which make them false! There are a few other major difficulties with Anderson’s argument, such as a continued confusion with free knowledge and middle knowledge. See the “technical discussion” below as well as the comments for more. So to return to Molina and his modern defenders, we find that they affirm in apparent unanimity that if one were to choose to do ~x instead of x, then God would have known ~x to be the case and x to be false. Thus, there simply is no question of a subject bringing about the falsity of God’s knowledge. Moreover, Anderson’s argument also confuses middle knowledge with free knowledge. Once God has actualized a world, it simply is the case that if, in that world, God knows that S will choose A, then S will choose A. Middle knowledge is the moment which considers counterfactuals; free knowledge is the creation of the world and the actualization of those counterfactuals. Thus, Anderson’s argument fails because 1) it fails to actually take Molina’s views into account; 2) it fails to interpret Molina’s views in such a way as to show the view is self-referentially incoherent; and 3) it fails to distinguish between middle and free knowledge. Be sure to check out the comments for some great interaction in which Anderson came along and commented as well. It’s a great discussion. Second, your argument, again, is to try to show internal incoherence of molinism. In order to do so, you have to grant the premises of molinism. After all, if one wants to show an internal incoherence in a position, simply denying that parts of that position are true will not yield internal incoherence; rather, one must show how the pieces that such a position actually holds do not cohere with each other. Thus, because molinists from Molina to Craig to Thomas Flint (and I think this point is unanimous, though there may always be a “maverick” somewhere, I’m sure) hold that “If S were to do otherwise, God would have known otherwise,” you can’t just deny that premise and say “HA, now see, it is internally incoherent once I’ve denied this premise!” Rather, you would have to show that that premise is itself false. Now, Molina doesn’t just assert that God would have known otherwise. He does spend several pages developing exactly how it could be the case that If S were to do otherwise, God would have known it–all without appealing to backwards causation. Craig also defends this account in his lengthier work on the topic. Fredosso develops this defense over the course of p 57-63 and 65-68 of his translation of Molina’s “On Divine Foreknowledge.” In the same work, Molina defends his position may be found on p. 119-120; as well as several other places where a whole view of his account provides a lengthier defense. Thus, it seems to me your argument fails to demonstrate internal incoherence. Molinism on molinism’s terms does not make God fallible. Third, as far as why I argued you confused middle and free knowledge; the reason is because Molina himself held that because God is eternal and exists in the eternal now rather than as an omnitemporal or temporal being (contra Craig, who defends his position somewhat differently), it is incorrect to hold that once a world has been actualized, then the creatures world may bring it about that that world is not brought about. Again, this goes back to Molina’s view of foreknowledge and free will. But free knowledge is not middle knowledge and is absolute certainty about the “actualized” world. It is unchangeable. Thus, on this third point, your argument fails not only to demonstrate internal coherence but also to interact with Molina’s actual view. The reason is because your argument relies upon the notion that in the here and now a creature could bring it about that ~x if God knows that X will happen. But both Craig and Molina (and every other major defender of Molinism of whom I’m aware, though possibly not Zagzebski as I haven’t read her view) hold that if God knows x will happen, then, necessarily, x will happen. Thus, the freedom of creatures is found in middle knowledge, and that is how it is preserved. God’s actualizing a world brings it about that in that world, the counterfactuals God brought into being will happen. Again, Molina reconciles this as above (and alongside his view that God is Eternal in the technical sense rather than temporal). Thus, although interesting, I once more conclude that your argument fails to either address molinism or show that it is internally incoherent. James White and Molinism- Confusion about middle knowledge– I argue that James White has made a couple key errors related to molinism. On his most recent comments regarding molinism (his 2/11 podcast), he repeats a key error by saying that in the “exact same circumstances” he chooses differently. In this post, I demonstrate the error of his statement, along with some other mistakes in his critique. « Sunday Quote! – Does reading Genesis Require a PhD? God often wants people to act badly in order to show off His punitive Glory. 3) Monilism: Every person’s actions are consistent with what God foreknew. But God’s foreknowledge itself depends on the genuinely free choices of people. Given that God created chaos theory, quantum mechanics and many other things our mind is barely able to grasp, I find monilism quite elegant. But many atheistic philosophers doubt the logical possibility of libertarian free according to the following thought experiment. 1) If person A under exactly the same circumstances C does the same thing, she is determined. and there is nothing between determinism and randomness. Cheers from Europe and God’s blessing. Well, I would argue those aren’t the three main views… to my knowledge open theism is still an extremely minority view and realistically molinism is something I’m not sure I’d consider a majority view either. I would say it more boils down to Calvinism/Arminianism and then there are a number of other views that are along that spectrum or rather different but not held by many. More specifically, we could call it a divide between omnideterminism and simple foreknowledge, with a number of views on that spectrum. Also, on open theism it is very likely God knows what will happen; it just is not a certainty. I would be careful to clarify that. Your description of molinism is mostly correct as a short one, but it is really quite necessary to state that on molinism, people’s choices are, in a sense, determined by God because God selected the world in which they would make those choices. It is a fine distinction. My response to the thought experiment would simply be that it is a non-sequitor. How does the conclusion follow from 1 and 2? Moreover, given that any number of people would deny either 1 or 2 or both, each premise needs significant defense before I can really even comment upon them. I think if your readers take the time to read my entire post and my subsequent interaction with Greg Welty in the comments, they’ll find that I don’t import a Calvinist understanding of foreknowledge and foreordination into Molinism and I don’t confuse middle knowledge with free knowledge. My response to your comment highlighted the distinction between God’s decree and God’s foreknowledge for this reason: the decree is an active willing rather than a passive knowing. According to Molinism, God acts so as to ensure that S chooses A in C. So the issue I’m raising is this: given that God’s has decreed that S will choose A in C is it possible for S not to choose A in C? If it is, then God’s decree must be fallible. If it isn’t, then it’s far from clear how Molinism really preserves libertarian free will; S is free only in a very qualified sense (with respect to C but not with respect to God’s decree). It doesn’t do to say, “If S were to choose otherwise then God would have decreed otherwise,” because that’s dodging the issue. It’s answering a different question than the one I’ve posed. None of this presupposes Calvinist understandings of terms or confuses middle and free knowledge. Thank you for the courteous response. My apologies for this lengthy comment. Feel free to respond to any one point in order to try to shorten the conversation. I will not take it as a concession, as some do when someone doesn’t respond to every point! I am invigorated by this discussion. If you read the comments under my original post — as I’m sure you have done — you’ll see that I conceded that my original argument needed to be modified to take into account how the LFW of creatures is characterized (specifically, whether or not the divine decree is taken into account as part of the circumstances in which the creatures make their free choices). I’m arguing that the Molinist faces a dilemma depending on how the conditions for LFW are cashed out: as I observed in my previous comment (above) either the Molinist has to concede the fallibility of the divine decree or he fails to preserve the LFW of the creatures. That’s still an internal critique of Molinism. It doesn’t depend on any Calvinist presuppositions. With all respect, this comment makes clear that you are the one who is failing to do justice to Molinism, and thus failing to seriously engage with my argument. Molinism is not primarily a theory about divine foreknowledge, although it does address that issue. Rather, it’s a primarily theory about divine providence (as the title to Thomas Flint’s book indicates; likewise William Lane Craig’s contribution to the book Four Views on Divine Providence). Molinism accounts for divine foreknowledge partly by way of the divine decree (i.e., God deciding to create particular creatures and place them in particular circumstances so that they will act in foreseeable ways). Consider, for example, Craig’s essay in the Four Views book. He begins by talking about the post-Reformation debates over God’s decrees; specifically, whether or not God’s hypothetical knowledge of creaturely free decisions is logically prior to his creative decree. Both the Dominicans and the Molinists affirmed that God had an eternal decree that encompassed all events, but they disagreed over the logical relationship of God’s decree to his free knowledge. Craig makes clear that the divine decree is more fundamental than divine foreknowledge, since the latter is dependent on the former: “Given middle knowledge of counterfactuals of creaturely freedom and the divine decree, foreknowledge follows automatically as a result, without any need of God’s peering into the future, as detractors of divine foreknowledge imagine.” (p. 85) In other words, God foreknows what will happen because God decrees what will happen (partly on the basis of his middle knowledge). Listen again to the discussion between Craig and Helm. Craig makes a point of saying how he could affirm most of what the WCF says about God’s eternal decree and divine providence. (He has made the same point in other venues.) Note how he explicitly says that God ‘preordains’ all things — not merely foreknows, but foreordains. So when you say that the “actual premise” of Molinism “is not that God would have decreed otherwise but that God would have foreknown otherwise” if S were not to choose A in C, you are the one misrepresenting Molinism. You’re underselling it! Yes, God would have foreknown otherwise, but that’s precisely because God would have decreed otherwise, since his foreknowledge follows from his decree (as Flint and Craig make clear in their expositions of Molinism). Okay, sorry for the late response. I’ll just go back through the points in order and try to keep it brief. First, you say I’m misunderstanding molinism. However, the decree in molinism is the act of bringing about creation; it is free knowledge. Of course molinists account for part of God’s knowledge with the decree; I’ve never denied that or distorted that. My point is that the decree is the basis of free knowledge, not the basis of middle knowledge. Thus, if a creature were to choose differently, God would have known differently (middle knowledge). Thus, I maintain what I said earlier; if S were not to choose A in C, then God would have known differently (in middle knowledge) but then would have, yes, decreed differently. The reason I am adamant on this point is because it is not primarily free knowledge that has to do with free will; it is middle knowledge. God’s decree is subsequent to middle knowledge, and so creaturely freedom is based in middle knowledge. IF you disagree, you’d have to show me explicitly any molinist who states that the decree is what preserves free will, not middle knowledge. Given that I’m extremely confident you cannot do that, it is indeed correct to say, properly speaking, the molinist would say that God “would have known” differently should a creature act differently. Yes, of course this changes the decree because the content of middle knowledge is different and so the free knowledge will be based upon that middle knowledge instead; but the point is that the ultimate basis is in middle knowledge. I suppose one may say that God would have “decreed” otherwise and not be absolutely wrong, but at that point they’re missing the centrality of middle knowledge for the molinist account. Properly speaking, the free will of creatures is not found in the decree but in middle knowledge. I’m not sure how restating the Molinist view, and pointing out things I already grant, addresses my objection. Yes, if S to had chosen otherwise in C, the counterfactuals would have been different and God’s middle knowledge would have been different. But how does that preserve S’s libertarian freedom post-decree? How does that explain S’s ability to choose not-A given that God has already decreed that S choose A? (1) If S had chosen otherwise, God would have decreed otherwise. (2) If S had chosen otherwise, God would have foreknown otherwise. In other words, these aren’t distinctive to Molinism, and since they’re consistent with determinism they do nothing to show that Molinism avoids determinism. A theistic compatibilist can happily affirm (1) and (2). I may be mistaken on this in my reading of various molinists, but given free knowledge, whatever world has been created entails that the choices God knows will be made will be made. Thus, if God knows I will chose to do x, then I will choose x. For the molinist, it is not that I cannot choose ~x; it is that I will not do so. How that is hashed out again comes back to how the free knowledge interacts with middle knowledge. Ultimately, however, if we’re looking at the world as it stands right now (and again, I may misrepresent molinists here, but I don’t think I am doing so), I will not choose ~x. Now, to address your two points: I agree, those two points are granted by both views. The difference is that on molinism the decree is based upon middle knowledge of what creatures would do; for Calvinists, so far as I can tell (and feel free to correct me if I’m wrong), the decree is just based upon whatever God wants. I don’t mean to state that as an offhand dismissal; rather, it seems to me to be the strongest possible affirmation of sovereignty. Thus, if I’m not wrong, for molinists, the decree is limited to the set of possible worlds and that set is determined in part through middle knowledge of free choice; for Calvinists, the decree is not limited in that fashion. The difference in the views, I agree, does not rely upon 1 or 2. The difference would lie on a prior condition: why do 1 or 2 obtain? But again: the issue isn’t whether you can choose ~x as such — in some abstract sense — but whether you can choose ~x given that God has decreed that you choose x. You affirm divine infallibility, from which it follows that if God decrees X then his creatures cannot act in such a way as to bring about ~X. Not merely will not so act, but cannot so act. (Recall the discussion of the notion of infallibility in my original blog post; infallibility is a modal concept.) So your statement above is not strong enough to preserve divine infallibility. BTW, I’m sorry about any duplicate comments. Sometimes when I’ve posted here I’ve been asked to log in to my WordPress account, which I’ve done, but then the comment doesn’t appear (not even as awaiting moderation). So I’ve posted again just to be sure. WordPress (which I use for my own blog) does seem to be a bit quirky in some ways. Calvinist: Given that God’s has decreed that S will choose A in W1 is it possible for S not to choose A in W1? Molinist: No, because then it would have been a different world. S cannot choose ~A In W1. Therefore God’s decree could not be wrong. Calvinist: How does that not invalidate LFW? Molinist: It does not invalidate libertarian free will because S chooses ~A in W2. The incompatible view of free will does not believe that you are free if you can Choose A or ~ A in the same world. Rather, we believe that it should be simply possible to choose A or ~ A. But of course these will both be in two separate worlds. Doesn’t LFW simply means it needs to be possible for the action to be different, but that possibility would generate a different world other than W1 right? Thoughts appreciated! >>Once God has actualized a world, it simply is the case that if, in that world, God knows that S will choose A, then S will choose A. So God has actualized a world, our world. God’s decree and foreknowledge is part of our world, isn’t it? So if it’s possible for S to choose ~A in our actual world, that seems to mean there is a possible world exactly like our world, where God decrees and foreknows that S will A and yet S will ~A. If you’re not saying that there is such a possible world, then in what significant sense is it *possible* for any S to ~A, given the actual world? I know Molinists want to say “But God would have just known otherwise” but that ignores the fact that a world has already been actualized and, it seems to me, God’s decree and foreknowledge is part of our world. It still seems to me that John Martin Fischer’s point that the Molinist is simply *presupposing* a solution without providing us with one is relevant here. Here you’re confusing–as does James–free knowledge and middle knowledge. See my response to him for a fuller reply, but basically the difficulty is that pretty much every defender of molinism I know of, and Molina himself, all held that free knowledge means that if God knows x will happen, then, necessarily, x will happen. This is why Craig often says molinism has a rather robust view of sovereignty, because once God actualizes a world, whatever God brought about to happen in that world will happen, period. One cannot bring it about that the world God brought into existence will fail to be the world God brought about. Thus, your comment also does not interact with Molina’s (and contemporary molinists’) views. >>basically the difficulty is that pretty much every defender of molinism I know of, and Molina himself, all held that free knowledge means that if God knows x will happen, then, necessarily, x will happen. Okay, I don’t see how I confused that issue. The problem I was pointing to is at a different point: Molinists, like Craig, want to say that after God has actualized a world an agent S, has the power of contrary choice. >>it is incorrect to hold that once a world has been actualized, then the creatures world may bring it about that that world is not brought about. I’m glad to hear that. That sounds to me like an agent, S, doesn’t have the power to act contrary to the way God knows (given that he has actualized world W) he will act. If you and I agree on that then we don’t have any dispute. If you don’t agree with that then I suppose the question then is in what significant sense does an agent, S, having been actualized, have the power of contrary choice? If Molinists just want to forfeit it, fine 🙂 The difficulty is that Craig often makes it sound like an agent does have the power to so act. Saying something like “He has the power to act such that if he did so God would have known otherwise (or actualized a different world)” sounds like bluffing to me. It’s like saying I have the power to fly, insofar as if I were to fly God would have actualized a world in which I have wings and feathers. Yay, I can fly! Right, well as I pointed out in my response to Anderson, the argument is to take molinism on molinists’ terms. If you’re trying to show internal inconsistency, that’s what you have to do. Thus, to say that you think it is “bluffing” doesn’t address the issue. You’d have to engage with molinists’ defense of that position. Right — and that’s precisely the basis for my objection. If S cannot bring it about that God’s decree fails, then S is not really free (in the libertarian sense) to choose not-A given that God has decreed that S will choose A. As I’ve pointed out, the Molinist wants to have his cake and eat it. But he cannot preserve both divine infallibility and human libertarian freedom. >>Right, well as I pointed out in my response to Anderson, the argument is to take molinism on molinists’ terms. If you’re trying to show internal inconsistency, that’s what you have to do. Thus, to say that you think it is “bluffing” doesn’t address the issue. You’d have to engage with molinists’ defense of that position. You’re a molinist right? So what’s your defense of my critique? >>One cannot bring it about that the world God brought into existence will fail to be the world God brought about. So how does an agent have the power of contrary choice? You’ve denied that an agent can actualize a different world and since this is a world in which God knows that S will A then it doesn’t look like you can claim that an agent has the power to bring it about that God would have known otherwise than he does, since this commits you to the position that an agent has the power to actualize a different world. Further, if you’re committed to the idea that S can A on the basis that “God would have decreed otherwise” then why aren’t you also committed to the “power of contrary flight”–the view that I have the power to fly because “God would have decreed otherwise”? I’m not sure what relevance flight has. Free will doesn’t imply omnipotence. I can’t just decide to fly because my nature as human does not have the ability to fly. But I do have the ability to choose between chocolate or vanilla ice cream (in some situations, of course; where the choices are not out of stock at the grocery store, etc.). Choices are part of middle knowledge, not free knowledge. Thus, were I to choose differently, God would have known differently. Yes, properly speaking, the decree would then be different, but only because the middle knowledge (which is prior) would have been different as well. How does this work? Well that’s a bit off-point for what my post here is trying to address, but both Fredosso and Molina defend it at length in the references I gave to Anderson. I don’t really have the time to develop the defense right now and it is fairly off topic. Again, Anderson’s original argument (and it seems yours), is to try to internally critique molinism. An internal critique grants the premises of that which is being critiqued (i.e. an internal critique of relativism would say: If all truth is relative, as you claim, is that truth itself relative?). So I’m not here committed to a defense of all the particulars of molinism, nor do I really have time to type out book-length responses to cover all the issues of things which have already been covered multiple times. My argument is simply to show that molinism is not self-referentially incoherent. Although I may, perhaps, say I’m a molinist, I would at best be a “maverick” molinist who doesn’t hold to as strong a view of libertarianism as Molina or Craig do. I’d self describe as a Lutheran who thinks molinism has a philosophical framework that is useful. I don’t see how that addresses the issue, since it confuses the factual (what God has actually decreed) with the counterfactual (what God would have decreed). Let me ask the question as directly as I can. If God has actually decreed that S will choose A, does S have the power not to choose A? It won’t do to answer, “Yes, because S can bring it about that God would have decreed otherwise,” because ex hypothesi God hasn’t decreed otherwise. But if S chooses ~A, then it would have been the case that middle knowledge would have been different and so the decree would have been different. If you reject that (which I assume you do), then of course molinism seems faulty, because that’s basically the core of molinism. Free choices directly determine the content of middle knowledge, which itself directly determines free knowledge. So, frankly, “it won’t do” to say “it won’t do” when you’re discussing the views of another. All you’re really doing is reaffirming your denial of the rival view. If God has actually decreed that S will choose A, does S have the power not to choose A? 2. I haven’t merely said “It won’t do to answer such-and-such…” as though I’m ruling out certain answers by fiat or on the basis of my own Calvinist commitments. Rather, I’ve said “It won’t do to answer such-and-such because…” In other words, I gave reasons why such an answer would be inadequate: non-questing-begging reasons that ought to have traction with a Molinist. See, for example, my previous comment in this particular thread. Anyway, I thank you for a stimulating exchange! >>I’m not sure what relevance flight has. Free will doesn’t imply omnipotence. Flight has relevance to the way you’re trying to prop up contrary choice. If the power of contrary choice is being propped up by “God would have decreed otherwise” then why can’t we prop up the power of flight with the same explanation? >>I can’t just decide to fly because my nature as human does not have the ability to fly. I don’t see anything essential to human nature that makes it impossible for them or me to fly. For instance, I can imagine a world in which I have wings and fly and am human: just a human with wings who can fly. Furthermore, in the context of this discussion where the power of contrary choice is in question, it looks question begging to to assume power of contrary choice is part of human nature, but not flight. Maybe we don’t have either. But if “God would have decreed otherwise” is good enough for PoCC, then why not flight? That’s the point of dispute: it doesn’t appear that you do, given God’s actualization of a world in which you choose one or neither. >>Choices are part of middle knowledge, not free knowledge. Thus, were I to choose differently, God would have known differently. Yes, properly speaking, the decree would then be different, but only because the middle knowledge (which is prior) would have been different as well. You’ve repeated this several times, but I still fail to see the relevance. We’re talking about the actual world: after God has decreed to create. “S will A” is part of God’s free knowledge. The world in which “S would ~A” is part of God’s middle knowledge. I get that. The point is, that “would counter-factual” is no longer an option for S now that God has actualized S will A. You even admit this when you say “One cannot bring it about that the world God brought into existence will fail to be the world God brought about.” So S cannot bring it about that the world God brought into existence, S will A, will fail to be brought about (S will ~A). So, given the actualization of a world in which S will A, S cannot bring it about that S will ~A. >>How does this work? Well that’s a bit off-point for what my post here is trying to address, but both Fredosso and Molina defend it at length in the references I gave to Anderson. I don’t really have the time to develop the defense right now and it is fairly off topic. So you’ll not provide a defense. Okay, that’s perfectly understandable. We are all limited in time and interests. I appreciate that you have responded as much as you have. I just want to be clear on that. >>Again, Anderson’s original argument (and it seems yours), is to try to internally critique molinism. An internal critique grants the premises of that which is being critiqued (i.e. an internal critique of relativism would say: If all truth is relative, as you claim, is that truth itself relative?). Molinist premise 1: an agent, S, in the actualized world, has the power to A or ~A. Molinist premise 2: Once God has actualized a world, an agent, S, cannot actualize a different world. Molinist premise 3: God has actualized a world where an agent, S, As. Molinist premise 4: The agent, S, can ~A in actualized world where the agent As. Molinist premise 5: If S will ~A, God will actualize a different world. The difficulty, as I see it, is in 1-4. I don’t see how 5 solves the problem. Specifically, you deny that S can actualize a world different than the one God actualizes. But you affirm that S can do something where God would have actualized a different world. In other words, you seem to affirm that an agent doesn’t have the power to actualize a world but that an agent does have the power to actualize a world. If all you mean by 5 is that there is a possible world where S will ~A and if God had chosen to actualize that world then his decree would have been “S will ~A” and this is the basis of your saying “S can ~A” even though God has actualized the world in which S will A, then you don’t seem to be saying anything significant or addressing the concern I have over whether agents in an actualized world have the PoCC. This is why I bring up the flight example. There is a possible world where Remington has wings, feathers, and flies. At least I don’t see why that would be impossible. So, if God had chosen to actualize that world then his decree would have been “R will F” (Remington will fly). If that set of affairs makes sense of “S can ~A” then it makes sense of “R can F”. Alright, the conversation is going on both blogs now, and I’m just going to restrict my responses to here for convenience (I like my dashboard!). Your question regarding flight revealed to me another possible rabbit trail: I’m not convinced the power for the contrary is required for free will. That is, it doesn’t seem to me to be the case that if someone has a choice to do x and chooses x, but they could not have chosen ~x, then they are not free in their choice to do x. After all, they still chose x. But that’s another huge can of worms and I suspect most molinists would actually want to preserve the power of contrary choice in their definitions of free will (here’s where we start to differ). Your question regarding flight (and I think you made it a bit more clear on your response on your blog [interested readers, go here] seems to have to do with a denial of my notion that human nature would not allow us to fly. You said, for example, that you could imagine having wings and flying. But this raises a few questions: 1) what relevance does your ability to imagine something have for possibilities? ; 2) what relevance does your imagination about possible capacities you could have have to do with free will–that is, what relevance does my imagining that I could swim underwater forever have to do with free will? [merely coming up with imaginative capacities doesn’t seem, to me, to have any relevance for the question of free will]; 3) would a human with wings really be human? The third question is perhaps the most direct, and it involves questions which take up a lot of pages in the writings of analytic philosophers (for good or ill, depending on your view): for example, I recall Plantinga addressing at length the question of whether “I could be a crocodile” is true. I tend to say no; if I were a crocodile, I would obviously not be human, and so my imagining myself as a crocodile really has little to do with my human capacities. Similarly, your imagining you could sprout wings and fly around has little to do with human nature and more to do with your imagination. I fail to see its relevance. The other questions are equally important but would also require lengthy expositions. I’m not really desiring to chase them further, but thought I would point out that it seems to me you think you can just imagine anything and make that a problem for other views; I don’t see how that’s the case. Looking at Craig’s exposition of molinism in “The Only Wise God,” one finds that he affirms that molinists would hold that If God knows X, then necessarily x. Thus, if you view this as a major problem for libertarian free will then I’m not sure how much farther we can go. After all, the molinist holds that God actualizes a world such that all the counterfactuals in the possible world God selected will be true. So you’re right to an extent regarding some of the limits this imposes. Molina held God was eternal (unlike Craig) so there is going to be difference among molinists who hold to an eternal God and those who do not on how exactly free will is hashed out. But the whole critique you offered comes down, really, to a denial of middle knowledge. If there is such a set of counterfactual truths which are actually determined by [something, whether the creature’s nature or whatever the individual molinist believes the grounding of free choice is], then 5 simply is the case. However, given that I really don’t see how anyone can coherently deny such a set of counterfactual truths, I personally believe that any theist should be committed to middle knowledge. And again this is another huge and lengthy topic, but most basically it seems to me that a statement like “If it is snowing [and, properly speaking: on time x, day y, in circumstances z], I will go outside and take pictures” is simply obviously true or false. Anyone who wants to deny middle knowledge must deny that this has a truth value. Given that I don’t see any way to coherently do so, I believe that any theist should be committed to the existence of middle knowledge. And of course there’s the question of the grounding problem which is answered in varying ways by molinists, etc., etc. But for me, the bottom line is that if middle knowledge is true (as it seems to me essentially obvious that it has to be given that any proposition is either true or false, among other reasons), then 5 simply is the case.